No work Friday = Drinks on Thursday! 2-4-1 Cocktails all night long. 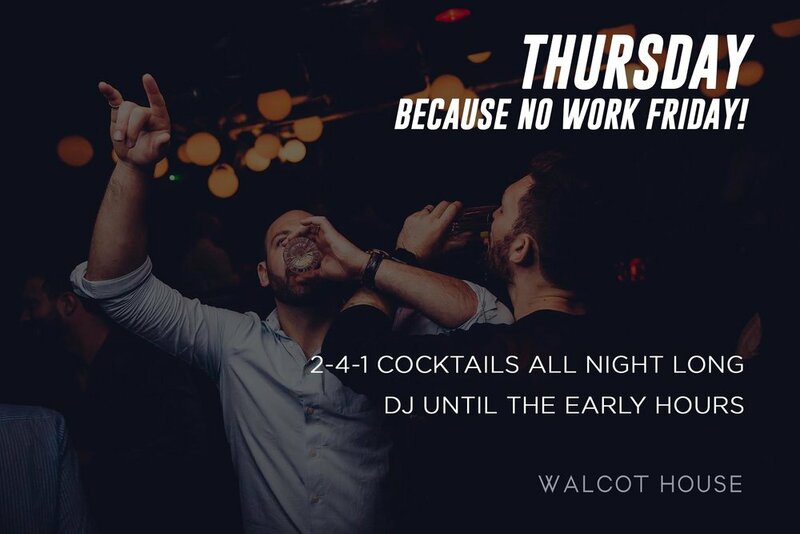 Or resident DJ from 11pm - early hours.